Considered the last of the Neapolitan operas composed by Gioachino Rossini, “Zelmira” in terms of popularity it is probably not the first of the Rossini operas that come to mind. Yet, there was a level of excitement and musical charm that was exuded by the concert performance presented by Washington Concert Opera. A rather full, robust audience filled George Washington University’s Lisner Auditorium for one of the anticipated moments of the season. The opera definitely presented some fine musical moments, but the plot seemed to unfold quite slowly. As Antenore, tenor Julius Ahn delivered with a feeling of urgency, if not always confidently in the far reaches of the voice. Bass Matthew Scollin in the role of Leucippo sang with aplomb throughout, which in many ways provided an anchor-like link to the other characters involved in the drama. Bass Patrick Carfizzi was quite convincing, vocally conveying the noble nature of Zelmira’s beloved father Polidoro who is saved from the clutches of death. With deception, lies and attempted murder all rampant, the story begins to unfold both musically, as well as dramatically. That drama was certainly evident in the arrival of Prince Ilo on the scene, sung by tenor Lawrence Brownlee. Greeted with rapturous applause in the midst of the orchestra, his arrival signaled a marked turned in the opera’s plot. Florid, elegant singing was certainly his trademark throughout the course of the evening. Mezzo-soprano Silvia Tro Santafé as Brownlee’s partner in the drama as his embattled wife Zelmira likewise delivered the vocal goods. With a lush, warm voice with lots of depth Santafé possessed an instrument that was the perfect partner to Brownlee’s agile tenor. Another standout in the performance was mezzo-soprano Vivica Genaux, in her role as Emma, confidante to Zelmira. Though her interactions were like vignette conversations with Zelmira, her mezzo was always solid, giving a sense of heightened punctuation to her ‘advice’ to Zelmira. One of the most beautiful moments of the opera came in the duet “Perche mi guardi.” Accompanied by the harp and oboe the two voices soared and weaved, then delicately faded as if in a state of contemplation. 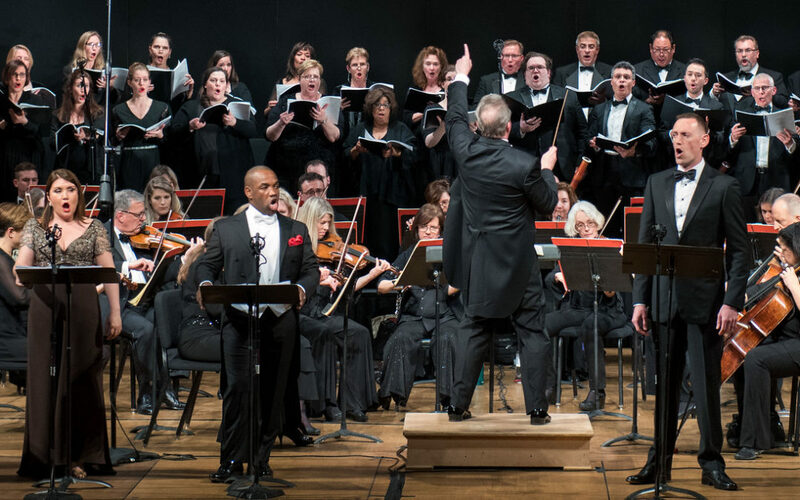 Conductor Antony Walker led the forces of the Washington Concert Opera Chorus and Orchestra with a confidently brisk tempo throughout. This highly heralded evening with Rossini’s “Zelmira” was certainly an introduction for many to an opera that has been far long forgotten, aside from a few recent performances.